Well this is a first. Blogger ate my entire post for today and I had to recreate it. All week long I add to the links as I find them and today, BLOGGER ATE IT. And I can't remember all my links! Big thank yous to my pals Julia and Laura for sending me suggestions this week, I remembered your links!! Also.....I'm deviating from the Halloween path for today's cool book. GASP. This is another first. It's just that I became aware of a book that I wasn't aware of and it threw me for a major loop, which I'll freak out a bit more for you down below. But first, fun treats 'n stuff! I didn't know pumpkin fudge was missing from my life, but now I do, and I need to try some. Amazing book inspired Halloween costumes! I can't sew a lick, but if I could, I'd want to make Alicia's ornaments. Single serving desserts. That's just silly. Who wants just one serving?? But they're very cute. Halloween book ideas from Imagination Soup. Totally saw the Tomorrowland preview and I totally want to see this movie. And I can't WAIT for 'Fantastic Beasts'! Would it be weird to give my kiddo towels for a Christmas present? She really needs new ones, and these animal towels from H&M would be right up her alley. Cool Book of the Week: Ok here's something else, which you might not know. Sometimes I try to color coordinate my book picks to my head photo. Yes, I am THAT LAME. I don't do it all the time! But don't today's books match my picture up above? So I saw this darling photo on Facebook the other day, it was on some big photography site, and it was a pic of a bed outside (OF COURSE - and I'm not being flip, if I could get a bed outside I'd use it for a prop too!) and these kids were reading this 'Tasha Tudor Book of Fairy Tales' and I just about lost it. 1) Why did I not KNOW about this book? Or if I knew, HOW did I forget?? and 2) WHY is this book out of print and if I want a brand new copy I have to pay $100 for it? WHY??? But one way or the other, used or paying through the nose for a new copy, I'm getting this book. Also, I did not know about 'Tasha Tudor's Bedtime Book' and I WANTZ THAT REAL SUPER BAD as well. But that fairy tales book......I'm getting it. I'm outraged that this book has escaped my notice until now. And on that cheery note, have a lovely weekend! 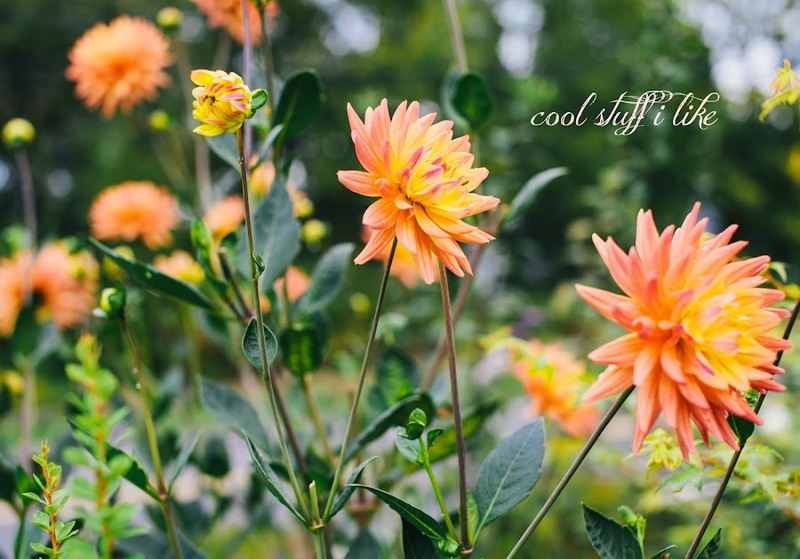 Your header photo is just LOVELY! And while I didn't see the ornaments on the page, I'm totally in love with those animal softie kits. Gorgeous!!!! Those books are just so lovely. Be sure to show off your copies when you get them! you have to scroll down on Alicia's page, down down, and after the stuffies are the ornaments! so darling! Tasha Tudor's the best, isn't she? So nostalgic and lovely. I think my favorite of the links is the sewn animals- I'm not a great sewer (boy does that word just look wrong), but these inspire me to practice. They're so fantastic! You always find the best fairy tales books!!! 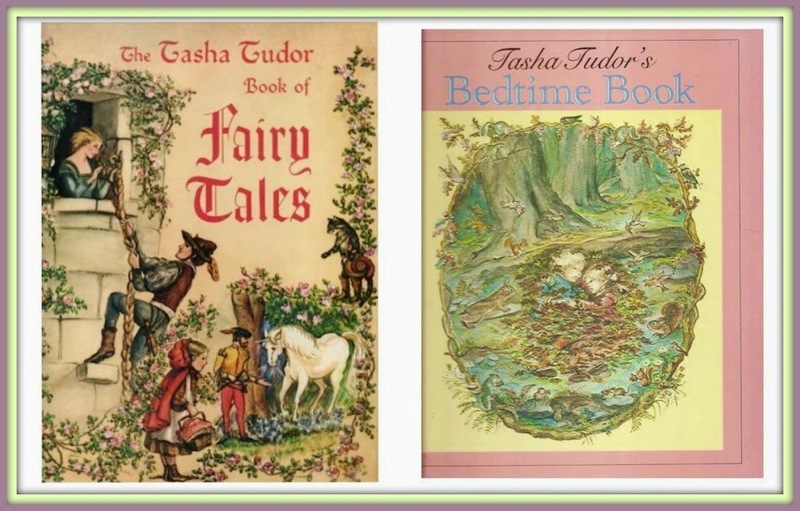 Goodness I would love an edition of those Tasha Tudor books! Have a great weekend! I actually can't wait to dress up my girls like school girls from Madeline some day. Everything Posie Gets Cozy makes is darling beyond measure. Side note: I wish Posie Gets Cozy was on Instagram. Well, despite the general rudeness of Blogger this week, you and I are totally in sync. I'll have pumpkin fudge on the blog later this week, Jeremy and I just watched the trailer for Tomorrowland and those ornaments are AMAZING, but I don't sew, either. Oh, well. Cookies will have to do for Christmas, then.